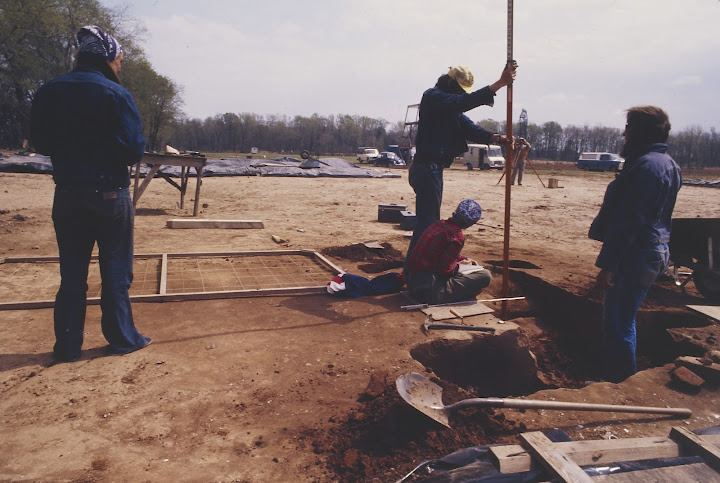 In the image to the left, archaeologists use a surveying instrument (transit), which is used in conjunction with a large rod marked with measurements (stadia rod), to record locations of features and artifacts precisely. Researchers then use this information to create detailed maps of a site. Today’s digital transits have automated some of the recording and calculating that used to be done by hand. 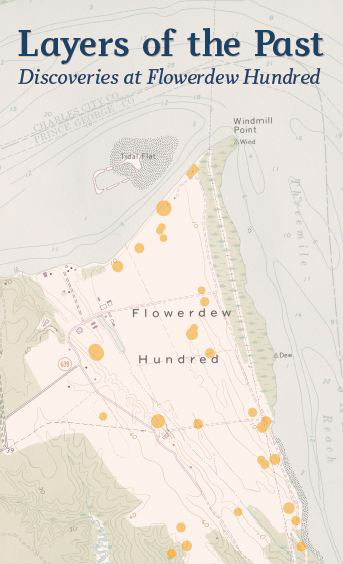 Archaeologists can now import such field information and create site maps with the assistance of computerized design and mapping programs. 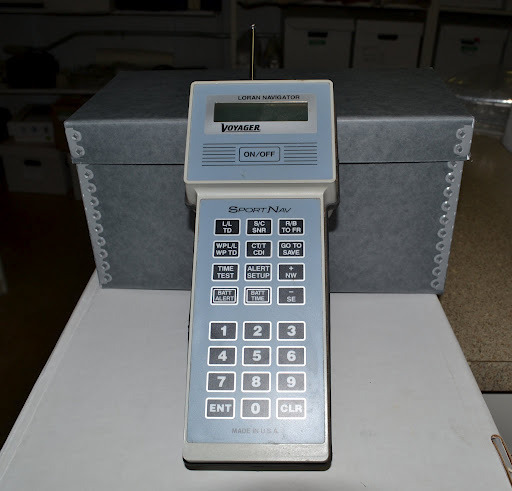 In the 1970s and 1980s, archaeologists at Flowerdew Hundred used a LORAN C Navigator handheld Voyager Sport Nav. (shown here) to map a site’s global positioning, typically based on longitude and latitude. The LORAN (LOng RAnge Navigation) navigation system relied on radio waves to determine position. GPS devices have generally replaced the LORAN in the field.